Xbox LIVE – Windows Phone 7’s USP! One of the best things about Windows Phone 7 is its integration with Xbox LIVE, and the ability to unlock achievements and improve your Gamerscore by up to 200 points per title. It genuinely is Windows Phone 7's Unique Selling Point. In many cases this is a fun experience while not being too hard – effectively an easy way to bump up your Gamerscore and take advantage of Microsoft Points without spending money and hours of your time on a full title. If you use public transport to travel to work or you’re on holiday, Xbox LIVE on Windows Phone 7 is a great way to keep your score topped up. Some games are more suited than others for this – while some titles are very easy, others are quite tough. So which are the best games to improve your Gamerscore on Windows Phone? Increase Your Gamerscore, Windows Phone Style! Of the many popular titles for Windows Phone 7, the following list of 5 represent the easiest route to 200 Gamerscore points in Xbox LIVE. The games themselves range from good to okay, and offer varying degrees of longevity – you might keep playing Monopoly long after the achievements have been completed, but Need For Speed: Undercover might be one you forget in a few months time. 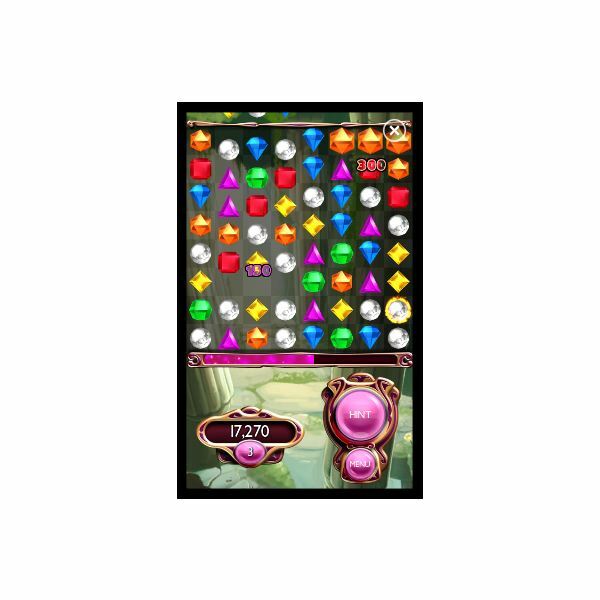 Bejeweled Live (right) – the popular gem-spinning game is available on the Zune Marketplace for around £3.99 (UK price) and the trial version comes pre-installed on some Windows Phone handsets. It delivers exactly what you would expect – an arcade puzzler with smooth graphics and of course the chance to easily earn 200 points for your Gamerscore! Flight Control – the aim of this unusual title is to ensure that you keep the skies safe by acting as a flight control tower, landing planes safely across multiple airfields. Strategy is the name of the game here, but the unlockable achievements give it an extra dimension. It's pretty addictive and costs just £2.49 on the Zune Marketplace in the UK. Fruit Ninja – this popular title seems to be available on every mobile phone going, but only on Windows Phone 7 can you gain 200 points for your Xbox LIVE Gamerscore by slashing melons and other fruit while avoiding bombs! Costing just £2.49 in the UK, Fruit Ninja is both messy and satisfying at the same time, especially if you can rack up those easy achievements! 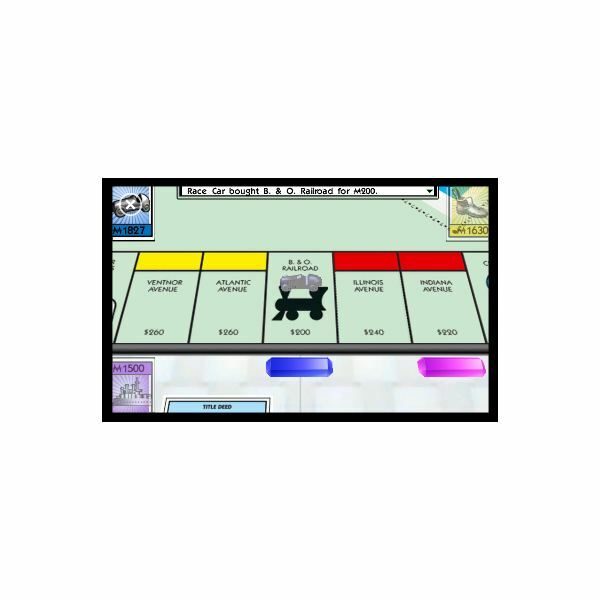 Monopoly – playing the legendary board game on your Windows Phone (right) might cost £3.99 (if you're in the UK) and be one of the more expensive Xbox LIVE titles, but think about it like a businessman. That's a small price to pay for a virtually guaranteed 200 Xbox LIVE Gamerscore points in what could quite easily be the simplest set of gaming achievements on any platform! Need For Speed: Undercover – this high-octane racer is also available for £3.99 in the UK, but while you're racing around the streets on undercover racing business you'll be clocking up the various in-game achievements and adding to your Gamerscore with ease! There are many games for Windows Phone 7, but you truly haven't experienced the full capabilities of the platform until you start gaming with Xbox LIVE integration. Offering a wealth of titles, you might even find you prefer mobile gaming to console or desktop gaming, such are the quality of titles and the standard of gameplay and graphics. While some titles are ports from other platforms, others are unique to Windows Phone 7, such as ilomilo. With the right title you can find that playing for achievements really enhances the gaming experience, and you don't even need an Xbox to access Xbox LIVE – using the Games Hub on Windows Phone 7 you can set up a profile and get started there and then!